Ray Sweezey is a retired high school music teacher and semi-professional musician who has lived in the Waterloo area for over 35 years. He started his musical career in North Bay playing piano in a country group while in high school and then with other local groups on sax and string bass. In the summer months of the early 60's Ray would travel weekly to Dunn's Pavilion in Bala, Ontario to hear and be inspired by such greats as Ellington, Basie, Kenton, the Dorsey brothers, the Herman Herds, and the Louis Armstrong All Stars. While performing with the 8th Field Squadron RCE Military Band on clarinet and sax, the director recommended Ray pursue a career in teaching instrumental music. He then studied pedagogy and later composition and arranging with Rayburn Wright and Manny Albam at the Eastman School of Music in Rochester, N.Y. and went on to obtain his Bachelor of Music degree from Queen's University in Kingston, Ontario. 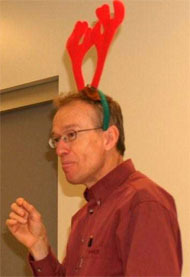 While head of music at schools in Sudbury, Cambridge (Galt) and Kitchener, Ray directed the concert and jazz bands as well as the pit bands for several Broadway musical productions. During the summer months, he attended music programs including the Banff School of Fine Arts summer program, studying under Eddie Daniels and Lee Konitz. In 1981, his jazz group from Cameron Heights C.I. in Kitchener won the All Ontario Jazz Finals and competed in the Canadian Nationals, an award of which he is very proud. 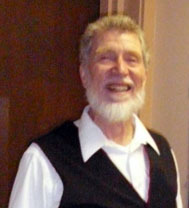 While teaching, Ray continued to stay involved as a musician in the community. Over the years he has been conductor or assistant conductor of several area concert bands. He has also played in small combos of several styles (jazz, Dixieland, rock and ethnic) in the Waterloo area. 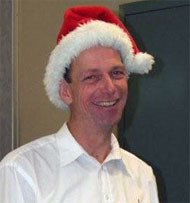 Presently he plays in the Waterloo Concert Band and the Ayr Paris Band. Ray says, "I am very happy to be part of the Grand River New Horizons Music program in Waterloo and I am grateful to the other volunteers and to the participants who have made this an enjoyable and productive endeavour. I hope that more former and would-be musicians hear the music and come forward and join the band." Roseanna Rigo is a retired high school mathematics teacher. 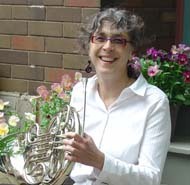 She has been playing euphonium in area concert bands for 25 years. Even before her retirement from teaching, Roseanna was looking for opportunities to play music during the summer holidays and came across the New Horizons Music Camps. She and her husband, Ray Sweezey, attended camps in Bailey's Harbor, Wisconsin, along the shores of Lake Michigan, at Interlochen, Michigan, at the Center for the Arts, and at Unicoi State Park, Georgia, in the Smokey Mountains. She has had a wonderful time playing euphonium and valve trombone in various types of ensembles and meeting great people and hopes to attend many more camps in the future. But she now gets to do this at home too, while learning French horn. "Ray said my lips were too big to play French horn, but it is something I always wanted to do", says Roseanna. "So in a way, helping to start a New Horizons program here is kind of selfish, but I think everyone else is also enjoying making music and having fun at the same time". Paul was introduced to the trombone by his highschool music teacher, Marg Schiffer - now a New Horizoner herself. Paul taught band in Alberta for several years before coming to his senses, realizing how much he simply enjoyed playing. He plays trombone, euphonium, some trumpet and tuba and even a little cello here and there. He was recently delighted to discover there are well over 100 active community bands in Ontario...but disappointed that there simply aren't enough evenings in the week to play in them all! Coming from a musical family where everyone played, music has always been a part of Steve's life from childhood; studying piano and singing in church choirs in his youth. He began playing the trombone at high school and joined the Kitchener Musical Society Band shortly after. Although he occasionally played euphonium, the trombone remains his favourite instrument. Classically trained, playing in orchestras and bands, it was quite a mind-bending exercise to learn to play swing in a 10-piece band in his early 20's. But the demands of University reduced his playing to a minimum. Teacher's College, followed by the demands of 30 years of teaching Physics, Math and Computers at local high schools also cut into his time and energy for music, although he did manage to sing and play on special occasions a few times a year. When he retired, Steve was already planning to make music a large part of his life; both singing in church choirs and playing. Waterloo County is full of opportunities for volunteer musicians and, at last count, Steve keeps very busy with five other local musical groups. Steve knows first-hand what it is like to have commitments that keep people from playing. He finds it extremely gratifying to help build an organization such as NHIMA that encourages people to return to playing in a band or to take up a band instrument for the first time.